A former Pro Athlete and current Internationally Acclaimed Customer Service Consultant, Speaker and Author � Barbara Khozam, aka Ms. Happy Pants, is uniquely and dynamically inspiring and coaching companies to re-invent and re-define their organizational service cultures, using her proven humorous and no-nonsense direct approach to exceptional customer care. Unlike traditional methods for �fixing problems� within customer service teams, Barbara delves beyond singular issues to coach businesses into creating dynamic organizational cultures of service that elevate customer care to a higher plateau�one on which employees become advocates for your organization, your brand and your customers. Barbara will re-define for your company how customer service is no longer a single department, but an organization-wide culture that is the essential pulse for your business. Barbara will also help you to re-invent your service culture by exorcising BAD customer service habits and protocols from within all levels of your organization. Barbara�s ultimate and unique mission is to educate, empower and immerse workshop participants with the �spirit of service��one audience at a time. Barbara�s �happy-pants� humor and �Edu-taining� style speaks honestly in a relaxed and captivating environment to the hard truths of core problems that plague customer service teams. She connects with her audiences by speaking and relating with them happily and genuinely, not at or over them. And her real-life stories truly bring her concepts to life�memorable lessons that elevate the spirit of customer care in any organization. Her insight, energy, and jaw-dropping humor reveal practical principles necessary for success in today�s cynical marketplace. Gaining an in-depth understanding of your customers� spending power can require going deeper and even undercover to discover revealing hard truths about your organization and its relationship to customers, clients and even your employees. Targeted services like surveys and mystery visits and calls can provide solutions that consistently and positively increase your bottom line�quarter after quarter, year after year. Barbara is ranked in the top 1% out of a group of 400 leading trainers in the United States. She is also the recipient of 27 awards for Sales Achievement & Outstanding Trainer Ratings. Barbara is the author of How Organizations Deliver BAD Customer Service (and Strategies that Turn it Around! )�a revealing testament to her wit and love for coaching others. She also co-authored The Power of the Platform, with Jack Canfield, Brian Tracy, and Les Brown; and Executive Etiquette Power, which have sold in excess of 25,000 copies worldwide. 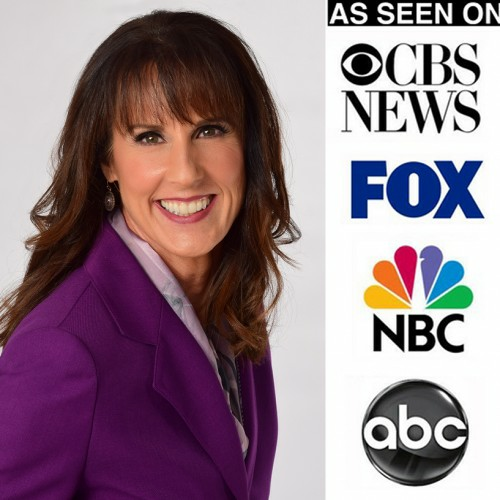 In 2014 Barbara was the 14th woman in the world to be honored by Toastmasters International with their elite Accredited Speaker designation for �outstanding platform professional speaking� (scored in six categories). Only 66 have earned the award in 126 countries. As a former professional beach volleyball athlete, Barbara brings a competitive perspective to winning over customers, clients and employees�and crushing your competition. While her humor allows her to connect to the people within your organization, her killer-spike competitiveness allows you to better connect your client base to your brand and to know what motivates them to becoming your loyal, raving customers for life. � 4wheel Drive Hire, AUSTRALIA? � A T Still University? � Alert Alarm of Hawaii? � Arizona Department of Gaming? � Bechtel SAIC Company, LLC? � California Pacific Medical Center? � City and County of Honolulu? � City of Long Beach? � Department of Primary Industry? � La Casa del Zorro Resort? � Lee�s Summit R7 School District? � Office of Hearings and Appeals?? � Region 19 Education Service Center? � Santa Clara County Employee Services Agency? � Sisters of St. Joseph? � Spirit Lake Casino & Resort? � University of New England, AUSTRALIA? � University of Queensland, AUSTRALIA? � VA Palo Alto Health Care System? � Winslow Indian Health Care Center Inc.? In 2014 Barbara was the 14th woman in the world to be honored by Toastmasters International with their elite Accredited Speaker designation for “outstanding platform professional speaking” (scored in six categories). Only 67 have earned the award in 126 countries. In 2014, Barbara Khozam earned the Area Governor of the Year Award from District 5 Toastmasters. Top Customer Service Consultant of the Year by the International Association of Top Professionals (IAOTP) 2018 for my outstanding leadership and commitment to the profession. Find out more about Barbara Khozam at https://www.barbarakhozam.com.